Windsor Castle looms over the town imposingly. Perched on a hill right in the town centre, it makes for quite a site! It’s a constant reminder of the fact that the Queen herself is a Windsor resident most weekends of the year and has often referred to Windsor as her favourite home. Visiting Windsor Castle is a magnificent experience. Included in your entry ticket is access to the grounds, the State Apartments and the iconic St George’s Chapel, where numerous monarchs, including Henry VIII, are laid to rest. It was also famously the venue for the wedding of the Duke and Duchess of Sussex in May 2018. The Castle is the oldest inhabited castle in Europe and was founded back in the 11th century by none other than William the Conquerer. It has since been home to 39 British monarchs. Second only to Windsor Castle on the list of must-sees is, perhaps, The Long Walk in Windsor Great Park. 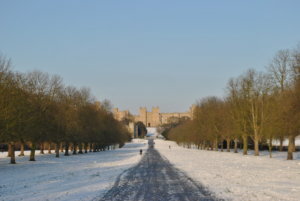 As one of the UK’s most photographed locations, the Long Walk is actually a two-mile straight path running from the ‘Copper Horse’ statue to the gates of Windsor Castle, offering spectacular views of the royal residence. A stroll along the Long Walk offers visitors the chance to take in some of the best sites in Windsor Great Park, including its famous horse chestnut trees and the local deer population, which runs free around the park. Exploring the rest of Windsor Great Park is also worth making time for when visiting Royal Windsor. You might stumble across the quintessential English village, complete with cricket pitch and village shop, smack bang in the middle of the park. 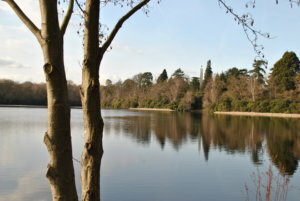 Or you may find yourself deep in the woodland and lake landscape of Virginia Water, with its enormous totem pole and breathtaking walking paths. Designed by Sir Christopher Wren, Windsor Guildhall is another historic landmark not to be missed during a visit to Windsor. 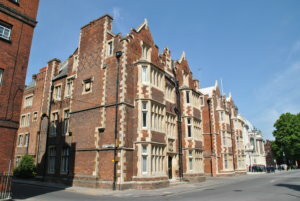 The site is now home to the Windsor and Royal Borough Museum. It also fulfils a range of ceremonial functions, including weddings and civil ceremonies. The Prince of Wales was married to Camilla Parker-Bowles at the Guildhall, while Elton John also married his long-time partner David Furnish here. Legend has it that Wren was told to build pillars into the interior of the covered area outside the Guildhall, which was created to provide shelter for corn markets to take place. He insisted that they were not necessary, but was overruled by the councilmen of the time. He agreed to erect the pillars, but made them ever so slightly too short, in order to demonstrate that they were not neccesary. Sir Christopher Wren’s ‘joke’ can still be seen today by visitors to the Guildhall. This notorious building smack bang in the historic centre of Windsor, set amongst the cobbled streets, has a prominent lean. 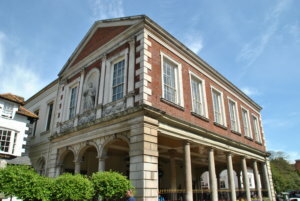 The building, as it stands today, was built in the 18th century, while the lean appeared later on due to the use of unseasoned oak in its construction. Visitors shouldn’t worry about the building toppling over, however. Between the 1970s and the 1990s, steel joists were inserted into the walls to support the house. 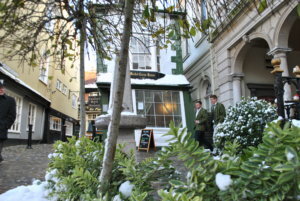 Over the years, it has been home to a huge variety of businesses, including a butchers, a florist, a printers, a brewery and, most recently, a pearl jewellery shop. It really has to be seen to be believed! Most visitors to Windsor will be eager to watch the Changing of the Guard, which takes place several times each week, with exact details changing according to the season. 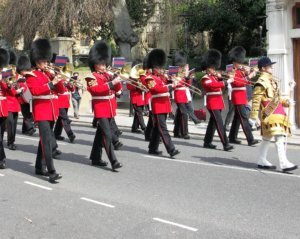 The event starts with the guards marching through Windsor High Street and up Castle Hill into the grounds of Windsor Castle, often accompanied by a brass band. 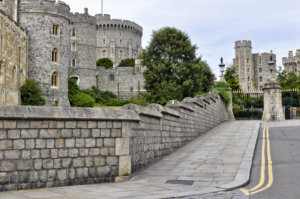 The regular event has become one the most popualr tourist attractions in Windsor, as it offers the chance to witness the same ceremony that has been taking place, in the same location, for hundreds of years. To experience the full pageantry of the event, you’ll have to pay for entry to the Castle. Read more about the changing of the guard here. Windsor’s smaller yet equally charming neighbour, Eton, is home to one of Britain’s most famous schools: Eton College. No fewer than 19 Prime Ministers have been schooled at Eton, not forgetting Princes William and Harry. 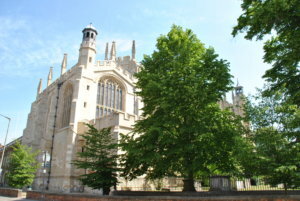 You can tour Eton College at designated times. Your can find out more about visiting the school here. People don’t just visit Windsor for its historic attractions. 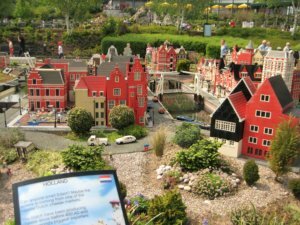 They also come from far and wide for its amazing leisure activities, and top of the list for most is Legoland. Just a short drive or bus ride from the town centre is this world-class theme park, complete with an incredible array of rides for children of all ages – not forgetting young-at-heart adults! Legoland is an incredibly popular destination for those visiting Windsor with children, as Lego remains one the most popular toys in the UK and beyond. With daily stunt shows, special seasonal events and fireworks spectaculars, Legoland is reason enough to come to Windsor. 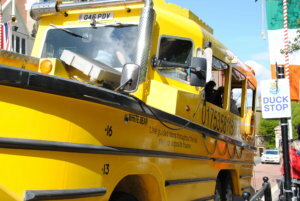 For something a little different, why not try our resident Duck Tour for a unique view of the town from the water and from the land! A specially designed amphibious Duck boat will take you seamlessly from river tour to road tour, for a great all-weather option that kids will love. And for those happy to stick to the river, a boat tour is a perfect way to relax on the Thames and see the town and castle in its full glory. French Brothers and Bateaux Windsor offer a range of river tour experiences to suit most occasions. A short drive from Windsor takes you to the Savill Garden, with its impressively landscaped grounds, inspiring gift shop and beautifully designed restaurant. Windsor locals love visiting the Savill Garden and tourists are quickly catching on to its peaceful charms. The Garden was created in the 1930s and includes an array of wonderfully landscaped areas of garden and woodland to explore. Maybe you will find the Hidden Gardens, Spring Wood, the Summer Gardens, the New Zealand Garden, Summer Wood, The Glades, Autumn Wood and the Winter Beds. This illusive royal residence has been a favoured retreat of the Royal Family for 300 years, Queen Victoria was particularly fond of Frogmore and visitors are able to see some of her paintings here. The gardens are notable as they were created by Queen Charlotte, who built the house. She was a keen botanist and the gardens are home to some rare and interesting plant and tree species. 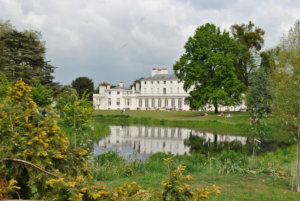 Frogmore is only open to visitors on three charity days each year. See the Royal Collection website for more details. Just outside Windsor is one of the most historically important sites in the UK – Runnymede, where the Magna Carta was signed in 1215. Operated by the National Trust, but free to visitors, Runnymede’s riverside and countryside setting is a magnificent place to reflect on the importance of this moment. Alongside the memorial, stands several notable sculptural installations as well as the charming John F. Kennedy Memorial.